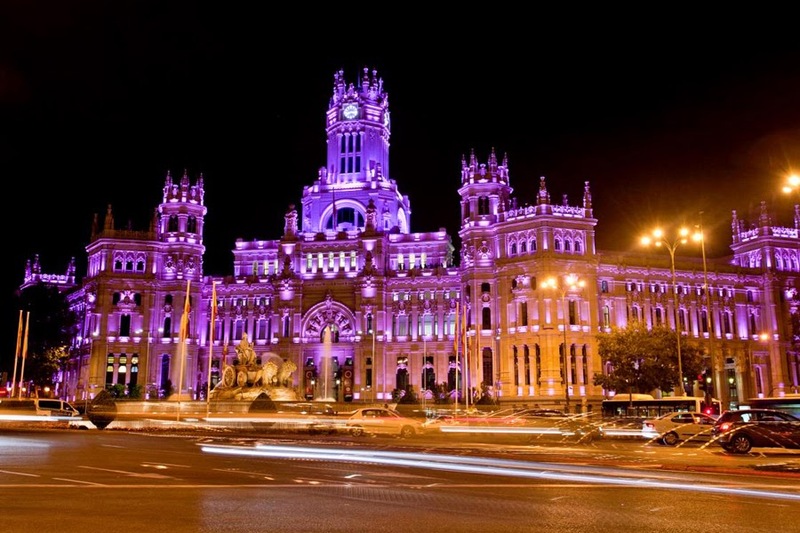 The Palacio de Comunicaciones is a magnificent building situated along the south side of the Plaza de Cibeles. In 2007 the building was transformed into the new home of Madrid's city council. Even though Madrid's city hall looks like a high-gothic cathedral, it was originally built in the early 20th century as the main office of the Spanish postal service, hence its name Palacio de Comunicaciones (Communications Palace). It continued to serve that purpose for about a century until November 2007 when it took over the function of city hall from the much less impressive Casa de la Villa at the Plaza de la Villa. Some of the city's administration departments continue to be housed in the Casa de la Villa, but the Palacio de Comunicaciones is now the official seat of the mayor. The flamboyant building was designed by the Spanish architect Antonio Palacios - who designed several other grand buildings in the neighborhood - in Collaboration with Julián and Joaquín Otamendi. They combined a Spanish version of the gothic style with neoclassical elements. The structure was based on the steel frame technology that had been pioneered by architects in Paris and Chicago. The building's facade is elaborately decorated with cartouches and pilasters. Long pinnacles adorn the top of the towers, the tallest of which reaches a height of about 40 meter. The curved facade of the city hall is aligned with the contours of the Plaza de Cibeles, one of the city's grandest squares. The city hall's white facade creates a picture-perfect backdrop for Madrid's most beautiful fountain, the Fuente de las Cibeles, at the center of the square.